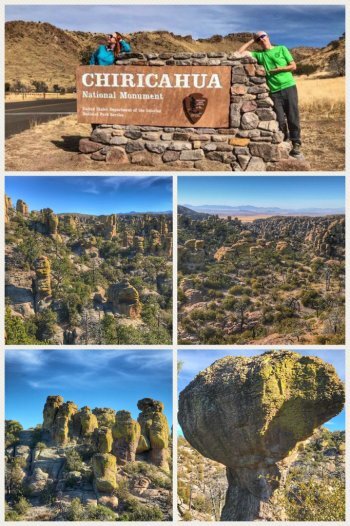 One of the most beautiful parks in the United States, and certainly in Arizona, is not even a park, but a national monument. The Chiricahua National Monument southeast of Willcox, at an elevation of 5,400 feet (rising to 7,310 on Sugarloaf Mountain) offers a collection of rock pinnacles (from the Organ Pipe Columns to the Sea Captain, and Duck on a Rock), amazing vistas (including peaks east into New Mexico and west to the Arizona desert), and a variety of trees (including ponderosa pines, Douglas firs, Apache pines, cypress, oaks, and more). The rocks have their origins from more than 27 million years ago when the Turkey Creek Volcano spewed ash across 1,200 square miles. The monument was established in 1924 and in 1934, the CIvilian Conservation Corps began improving the roads, cutting trails, and building structures. Be sure to take the 8-mile scenic drive up to Massai Point. If you are up to it, hike the Nature Trail, as well as the Echo Canyon Trail; the park has about 16 miles of trails to enjoy. The park is also a stopping place for migrating birds, including many Mexican species. 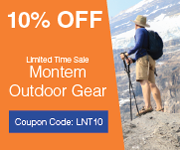 So much to see and explore at this park; make it a priority. After enjoying the park, consider the short drive to Willcox, where most of the state’s grapes are grown, and visiting a few of the wineries in the region. The grapes are grown in volcanic soil, which adds rich dimensions to their flavor. 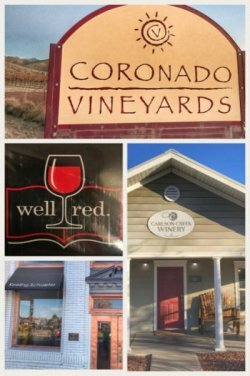 We had just enough time to visit three tasty and interesting wineries, including Keeling Schaefer, Carlson Creek, and Coronado Vineyards. We are big red lovers, but something about these grapes had us tasting — and buying — a few whites. Carlson Creek was our favorite, but loved the glasses at Coronado. For planning purposes, note that many of the wineries are only open Friday-Sunday. 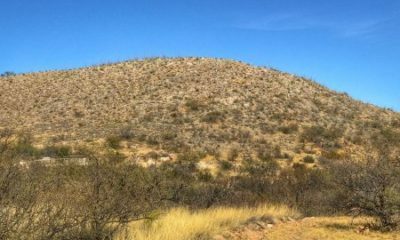 Another fun and beautiful place to visit while in southeastern Arizona is Patagonia Lake State Park, which includes a campground, marina, boat ramp, and lakeside market. The lake is 2.5-miles long and about 265 acres, created by damming the Sonoita Creek. Birders will absolutely love this lake, part of the flyway for migratory birds. 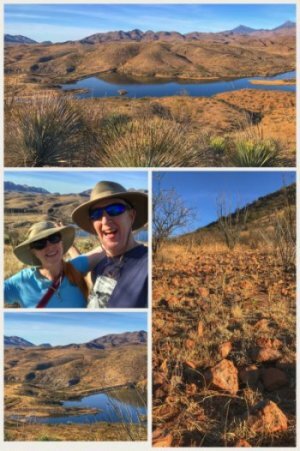 Definitely hike the Overlook Trail (located in the Sonoita Creek State Natural Area, Arizona’s first major state natural area) for a spectacular view of the lake. Railroad buffs should also consider hiking the New Mexico & Arizona Railroad Trail. Before or after enjoying Patagonia Lake, consider visiting a few of the wineries located along the Sonoita-Elgin Wine Trail. We started our tasting at Callaghan Vineyards, continued on to the granddaddy of all Arizona wineries, Sonoita Vineyards, before completing our tasting adventure at Dos Cabezas Winery. Do a tasting and buy the glass at one of the wineries — and take the glass with you for discounted tastings at other wineries. The drive alone is worth the time, but do stop and sample some of the wines; many of these wineries are fairly new, but Sonoita Vineyards is still the one to visit for the insight of their founder in realizing the value of the soil in growing outstanding grapes. Our home base on this leg of the trip was Kartchner Caverns State Park, about 9 miles south of Benson. A massive cavern sits just below this very unassuming mountain. The “Big Room” contains the world’s most extensive formation of brushite moonmilk. Big Room cave tours are closed during the summer for several months (April 15 to October 15) each year for the protection of the bats, however another cavern tour, the Throne Room, remains open year around. The park also offers a number of hiking trails. The RV park was clean and the spaces wide, with electric and water. 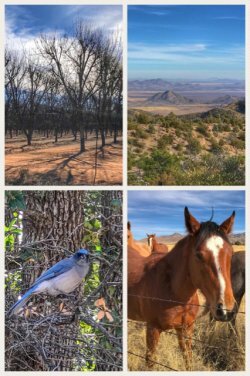 Having never spent much time in southeastern Arizona, we found this area, especially in the higher elevations, simply refreshing. 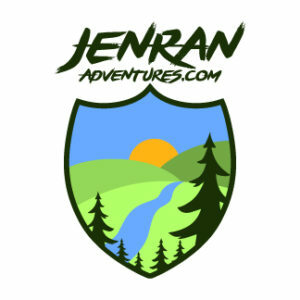 Visitors will enjoy the weather, the amazing variety of geography and plants, the diversity of birds and animals, and the splendor of the land, including vineyards, nut orchards, ranches, and much more.